Digital marketing includes all marketing efforts that are carried out and conveyed on through the internet. This leverages on the high usage of electronic devices by a majority of the audience through digital channels such as web browsers, emails and social media. However, with many experimentations, comes many failures and missed KPIs too. This is entirely normal. It takes multiple trial and error paired with strong perseverance for your marketing efforts to bear fruit. Here’s a handy framework that puts things into perspective. Created by Gabriel Weinberg, the Bullseye Framework helps you narrow down various marketing strategies to a few that will be most effective for your brand. 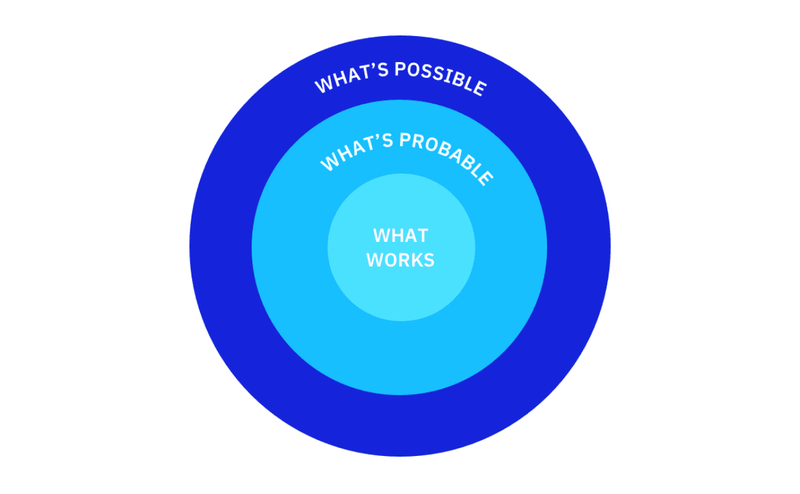 Filtering your ideas through this framework saves time and allows you to jump straight to a method that works. On-page SEO – all the optimising elements that can be done within your website to increase online presence. Examples of on-page SEO elements are keywords, descriptions, relevant tags and internal links. Off-page SEO – the increase of your website’s online authority by links from other websites. Some examples to increase your website’s off-page SEO include creating readable content, increasing backlinks and also social media sharing. Keywords are your best friend; use keyword generators to determine the proper keywords that your target audience may potentially look up online that can possibly lead to your website. Newsletters are a great way to engage with new and old customers for your brand. By sending them curated emails, you are able to reach them directly and show them your brand offers. There is plenty of email software in the market to choose from, such as MailChimp or Hubspot. Abandoned cart email – Sometimes shoppers may be hesitant to make a purchase and leave the item in the cart without checking out. Give them a little push with an email to pull them back in and finalise the purchase. Personalised email – Remind consumers of special occasions such as birthdays and seasonal festivities to help build relationships with consumers. The trick to ensuring that your newsletters are met with an effective response is to send out content that is simplified and attention-grabbing. Keep your titles and content short but easy to digest. Newsletters have an 80% chance of leading to your website if done right. But try not to overstuff buzzwords, like ‘one hundred per cent free’ or ‘best price’, as they’re considered spam trigger words. Not only does digital advertising drive awareness for your brand or marketing campaign, but it also allows you to leverage data for sharper consumers’ insights. Running ads via popular platforms like Facebook, Instagram and Google Ads gives you access to the data behind the audience. From there, you gain insight into your specific target audience and can alter future ads and campaigns according to their lifestyle. The most crucial step to running online ads is to implement a tracking system for where your ads lead to. There are many analytics tools to do just that such as Google Analytics. This helps you track down where your visitors come from and their activity on your website. Here are some examples of platforms to run ads on. Facebook’s audience of 2.01 billion users guarantees great potential for your ads – if carried out correctly. The best part about Facebook ads is that it is integrated with Instagram as well, allowing you to control platforms with less effort. Facebook ads run by a CPC and CPM model while taking into the account of quality score for the relevance of ads. With Facebook ads, you will be able to utilise Facebook’s handy audience insights tool. This tool caters your ads to the most fitted audience based on their relevant interests and brands. It also finds potential users that are similar to your existing audience. Google Ads run on a CPC basis. Each click is also determined by the quality score for the keywords used to ensure the relevance of your ad. The clickthrough rates for the used keywords are also important as they determine the cost of each click (the higher the relevance of your ads, the higher the clicks will be which results in lower cost per click). Long-tail keywords such as “black heels with ankle buckle” instead of “heels” allows you to tap into a more specific audience with a higher intent to purchase.